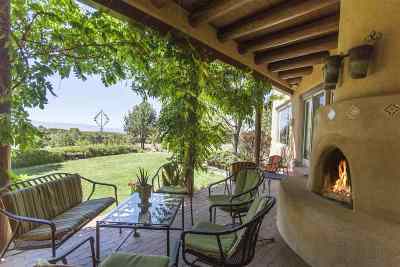 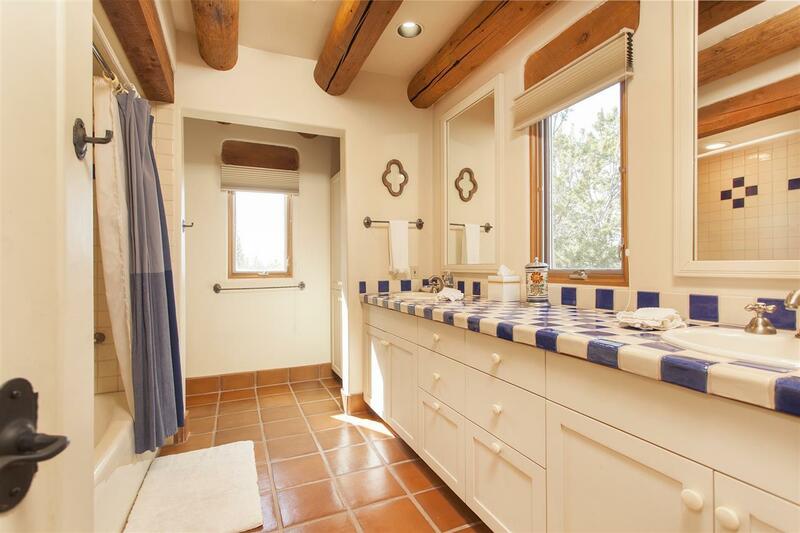 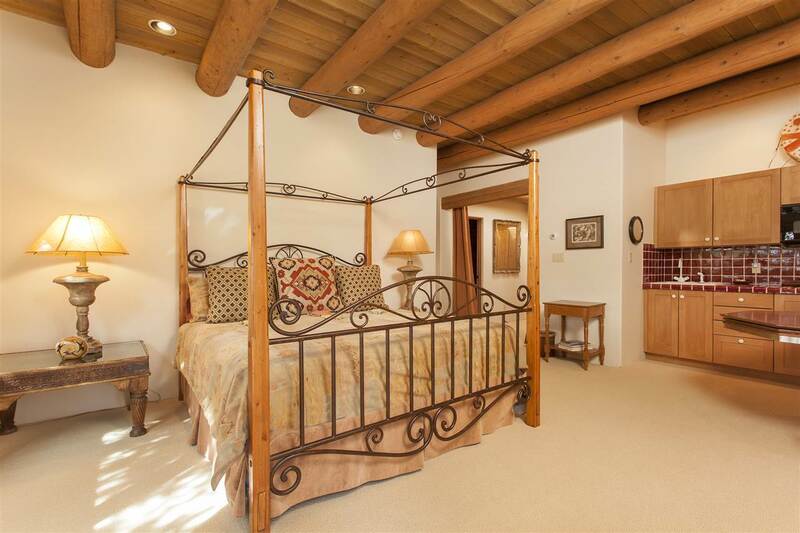 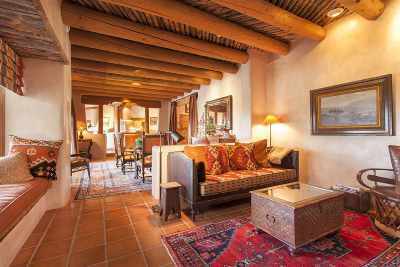 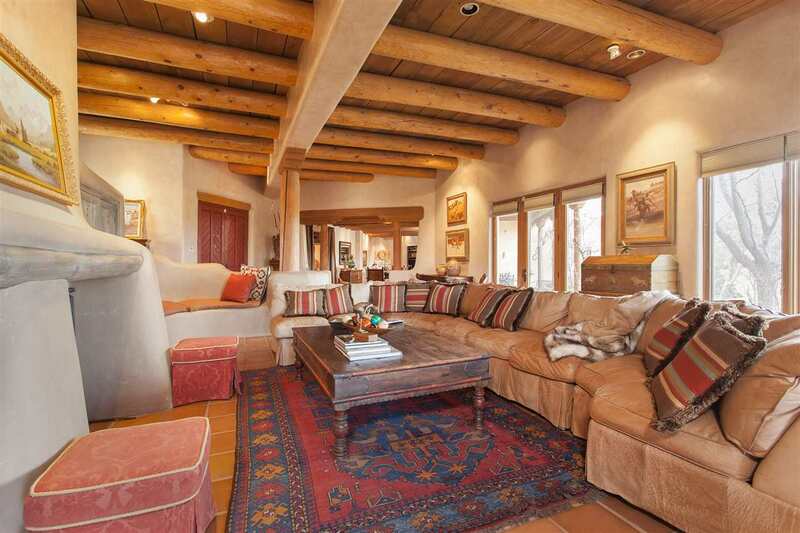 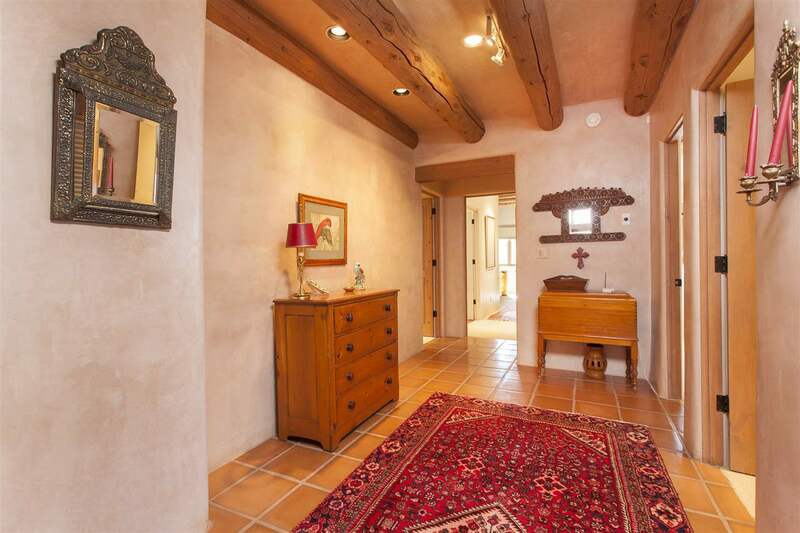 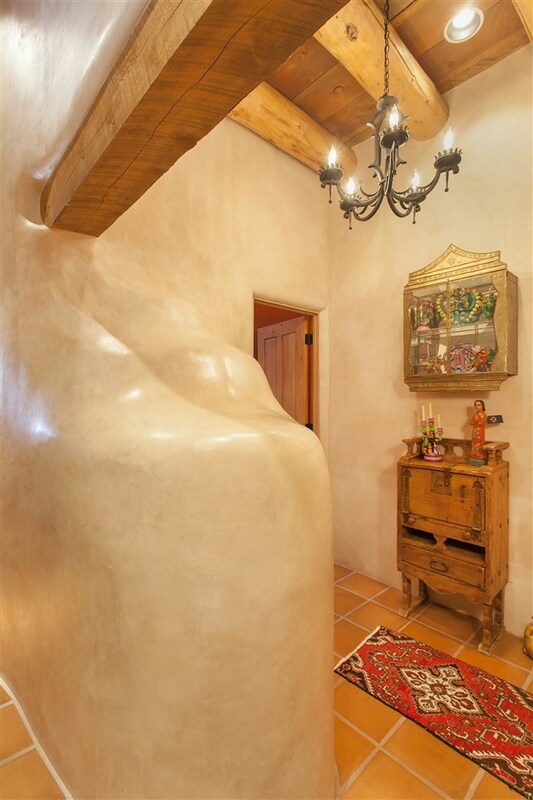 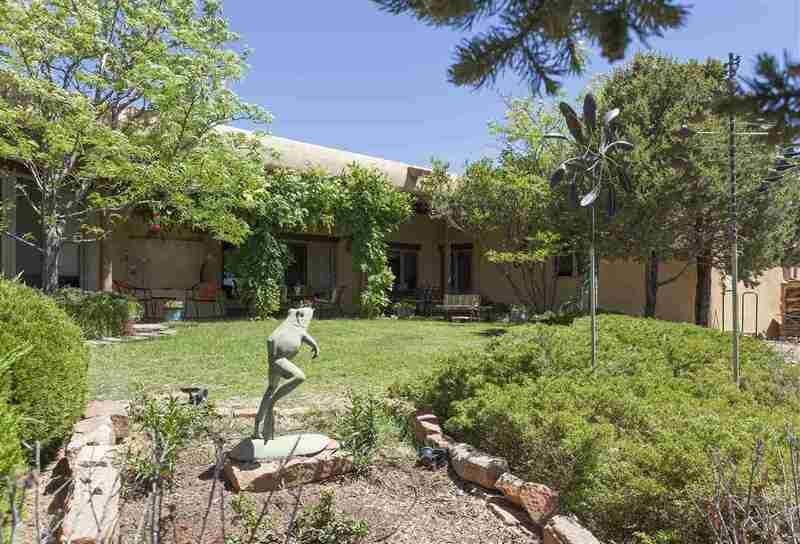 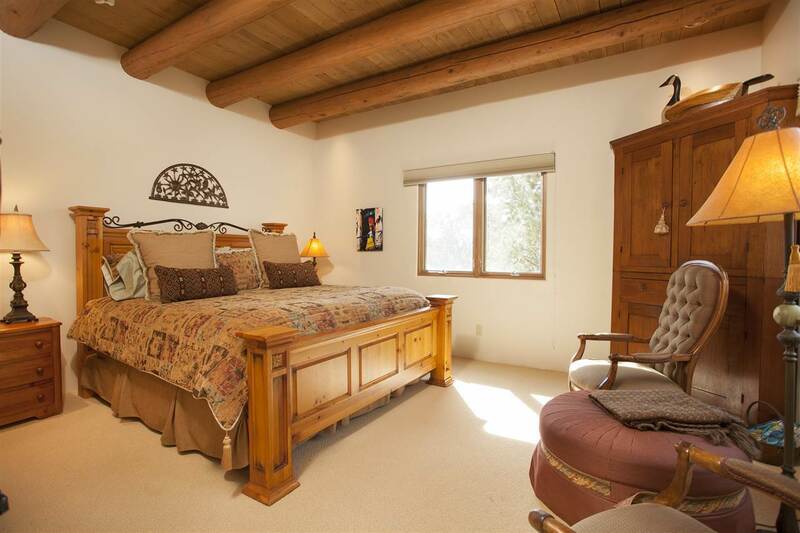 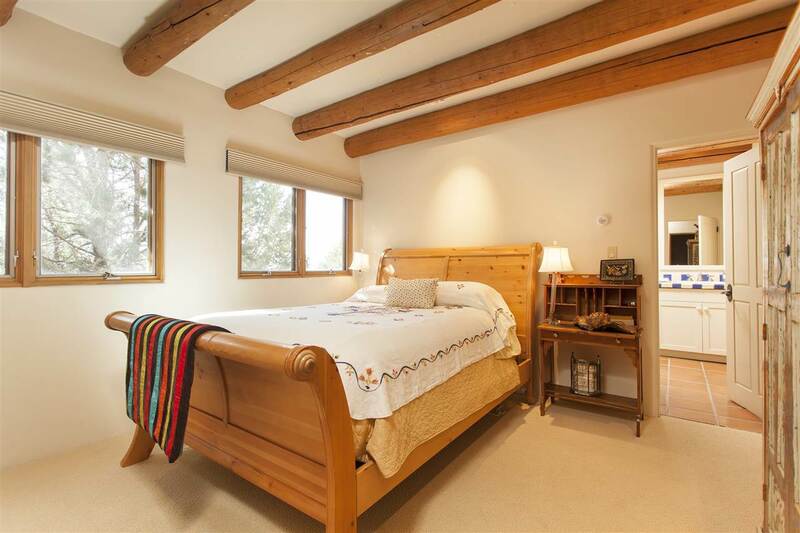 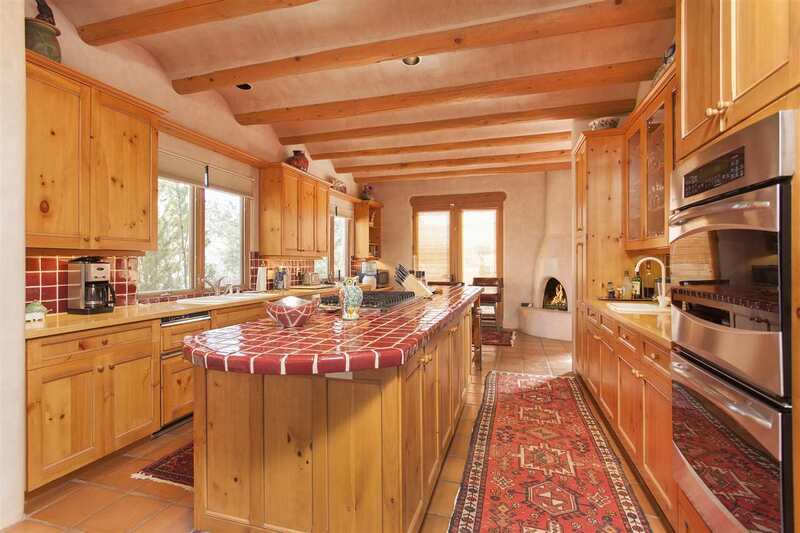 With sweeping Jemez and Sangre de Cristo views, this 5,319 square foot home in the fabulous Vista Redonda subdivision is a serene and inspiring place to hang your hat. 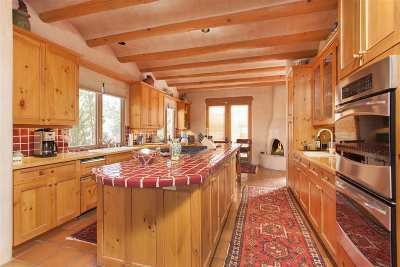 This spacious, high-ceilinged 5 Bedroom/5.5 Bathroom residence has virtually no traffic noise and âend of cul-de-sacâ privacy. 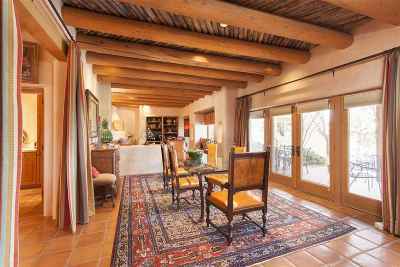 Carefully considered features and amenities abound, including vigas, hand-hewn latillas, custom-sculpted plasterwork, super Saltillo tiles, an extensive Lutron light system in public areas and master bedroom and a shepherd fireplace in the living room, one of six fireplaces in the home. 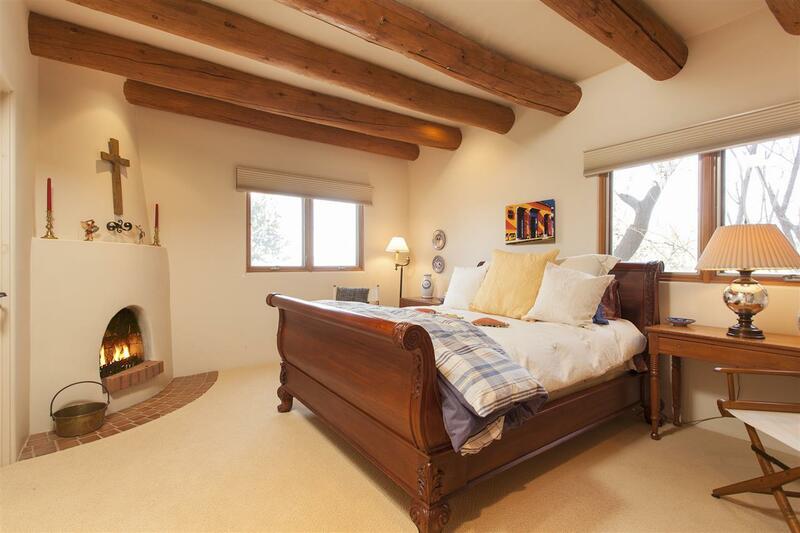 The master bedroom suite is a true respite, featuring a cozy sitting area with fireplace and his-and-hers bathrooms with dressing areas. 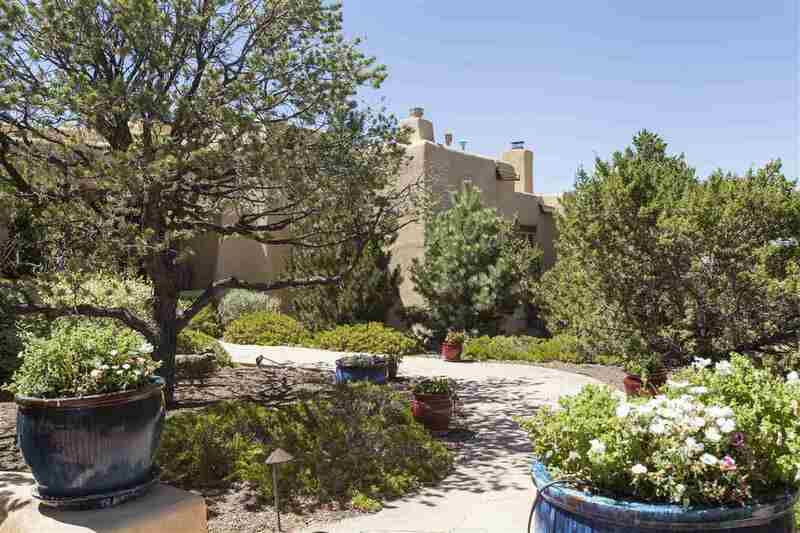 There is a front-entry gate system and gated access to the rear of the property as well as monitored alarm system for privacy and peace-of-mind. 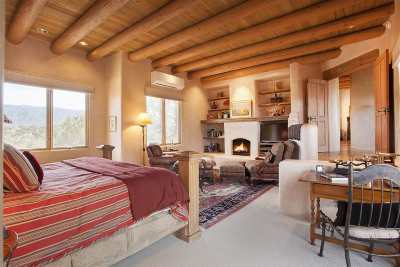 With an irrigation system, a very-recently installed commercial-grade roof, deep garage with tool/storage room, two newer 75-gallon water heater tanks and so much more, this home makes it easy to relax in front of the portal fireplace and drink in the magnificent vistas with family and friends. 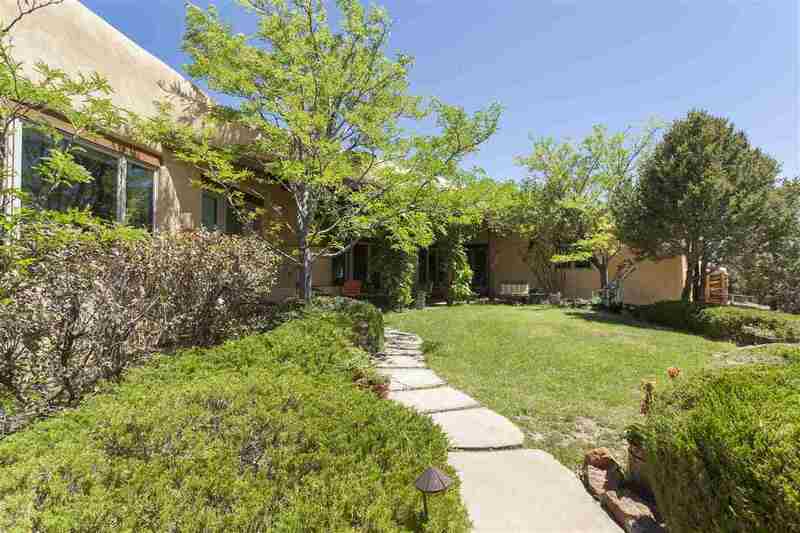 779 Square Foot Garage with storage and mechanical area and brand new subzero refrigerator. 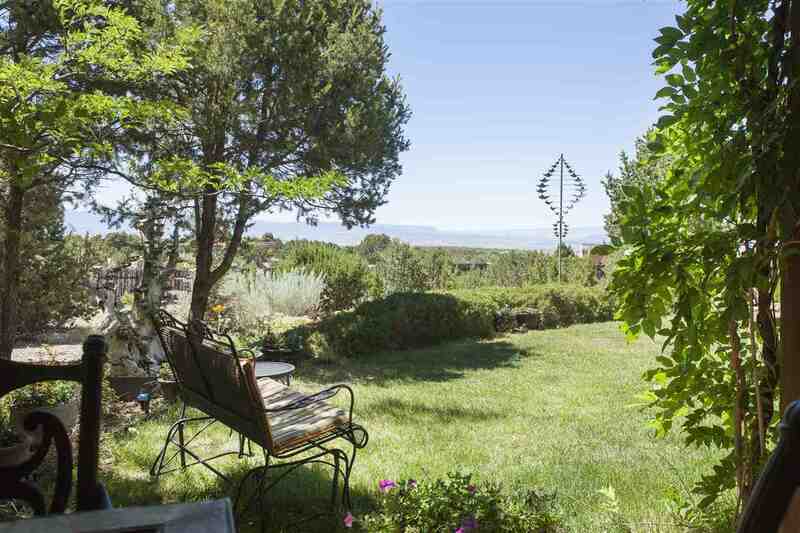 Exclusions: LR fireplace iron & tools, outdoor statutes and three windmill sculptures, and other garden art. 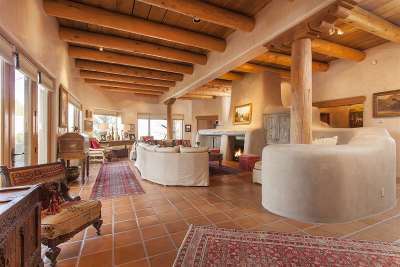 Call now for a tour of this amazing offering. Directions To Property: Take Us-285 N/Us-84 W (6.3 Mi) Take Exit 172 For County Rd 73 S Toward Tesuque (0.2 Mi) Sharp Right Onto State Rte 591/Tesuque Village Rd (0.4 Mi) Turn Left Onto Nm-592 N (3.1 Mi) Turn Left Onto Vista Redonda (0.1 Mi) Turn Left Onto Paseo Encantado SW (0.6 Mi) Turn Left Onto Vista Hermosa And Your Destination Will Be On The Right.